I got a little started with nursery planning for Baby #2 here and now it’s time to make some decisions, order some stuff and move forward with this project. I’m starting with the crib. We still haven’t made a final decision on the color scheme but I think we will either go with bright white that we can accent with color pops or do something with some sunny yellow. Either way, I think the crib will be white (with a small chance of grey). OEUF SPARROW. This crib has such clean lines and as a toddler bed, I think it’s the best I’ve seen. I also love that it is eco-friendly and the changing table attachment would definitely come in handy! BRIO SLEEP. This is the crib that we ended up choosing for Alec when we got his nursery in Stockholm set up. IKEA GULLIVER. 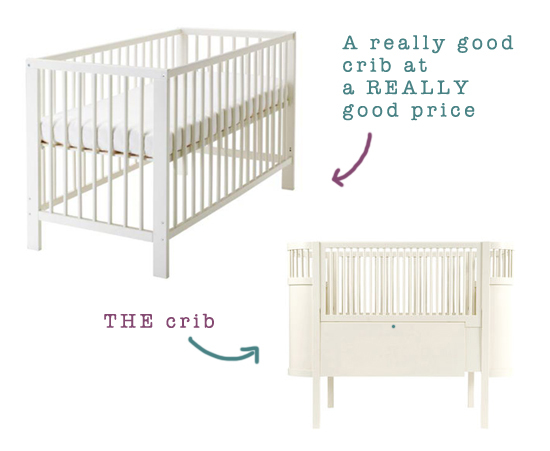 A good crib at a great price. Which would free up some space in the budget for other fun stuff. I’ll run through them one by one throughout this week, starting tomorrow. If you have any experience with any of these, please chime in with a comment. 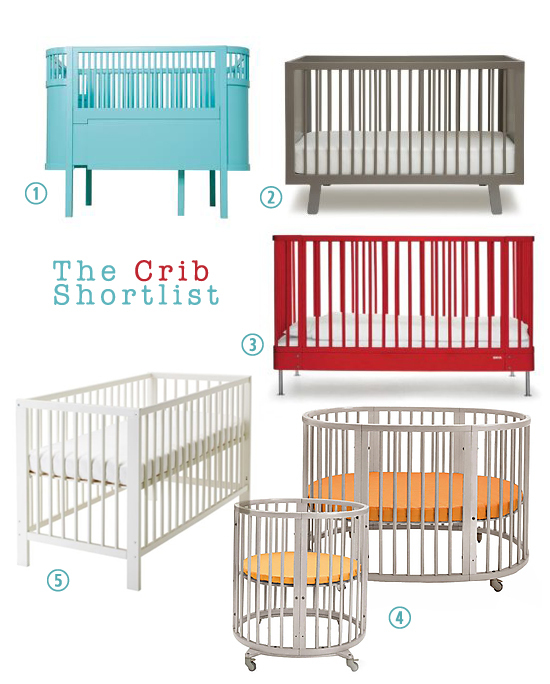 And if I’ve missed a crib worth considering – definitely let me know to add it to the shortlist!